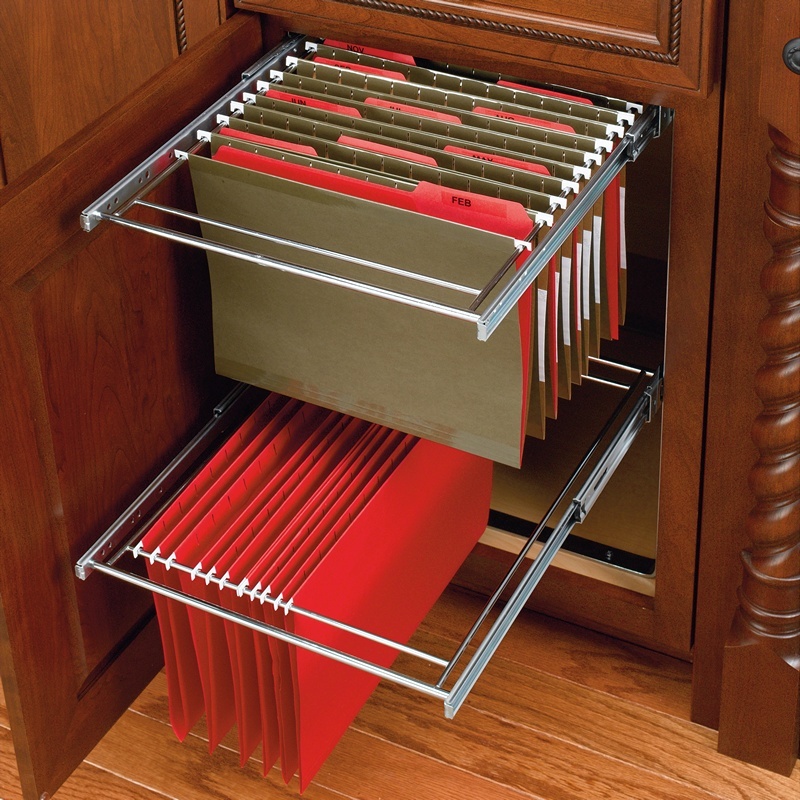 The frame has a telescoping rear bracket that allows the frame to be securely fastened to cabinets with a depth range of 19-3/4in to 24"
Turn your standard height base 18 drawer/door cabinet into a two-tier file drawer with our file drawer kit. This unique kit features full-extension ball bearing slides and heavy duty chrome plated rails that hold both letter and legal folders. 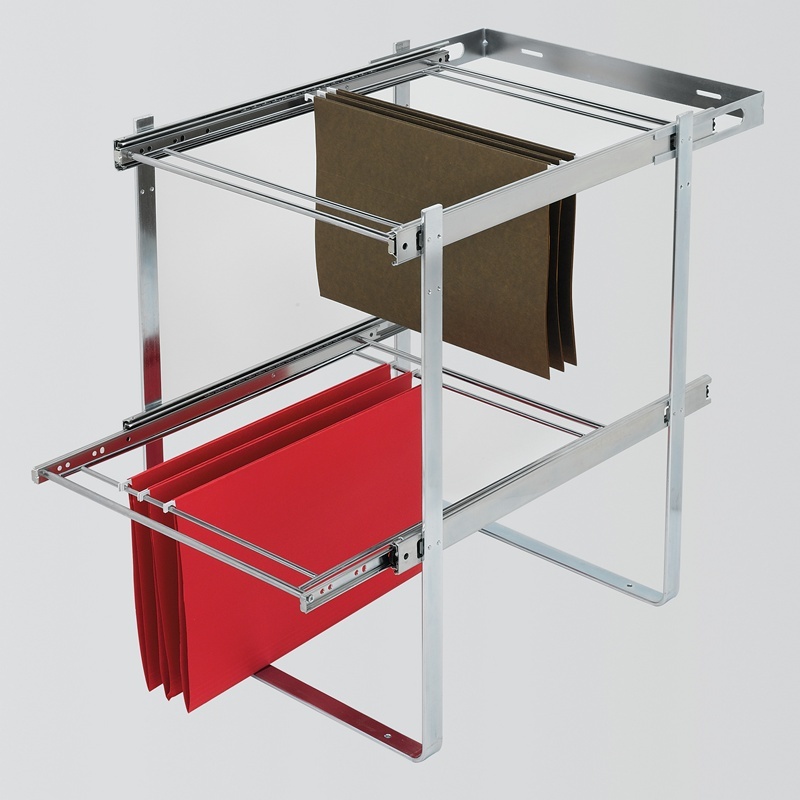 The bottom, side, and rear mounting was designed on the same platform as our successful 5WB2 Series wire baskets. Providing you the sturdiness you expect and easy installation.